The ‘hidden slide’ feature is great. 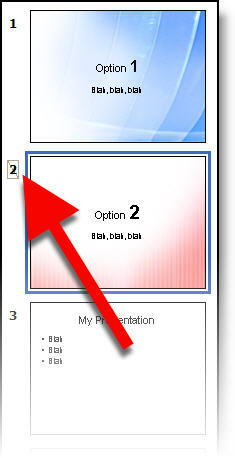 It can be used to design a master presentation that contains a couple of versions of key slides – just hide the ones that do not apply to that audience. Or you want to edit a slide, but keep the original for that ‘just in case’ scenario. Not only is small, put the is no way to identify hidden slides on a printout. This poses a large problem when supplying printouts to clients for review. 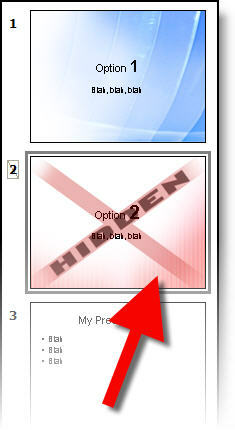 What I have done is create a semi-transparent, slide-sized “hidden” graphic in PhotoShop that is inserted on hidden slides. Easy to see in the slide sorter and very obvious in printouts.